Israel Police officers arrested over the past several days 72 Arabs who were rioting in Jerusalem's Arab neighborhoods. Indictments have been filed against 43 of the suspects, who are under arrest until the proceedings against them are completed. Since three Muslim terrorists killed two Druze police officers on the Temple Mount, riots, violence, and disruptions have been everyday occurrences in Jerusalem's Arab neighborhoods. Many police officers were injured during these violent incidents. This, despite the fact that Israel removed the metal detectors, which were considered and claimed to be the reason for the Arabs' violence. Some of the rioters wore masks, and violently threw stones, firebombs, and glass bottles at security forces; others shot fireworks straight at them. Public property was damaged during these incidents, and roads were blocked off. 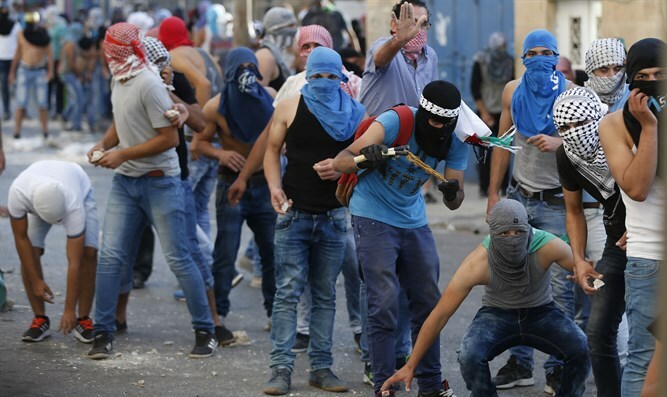 While security forces dispersed the rioters and attempted to return calm to the city, Israel Police collected proofs and focused information about the Arabs who took part in the violence. Over the past week, security forces carried out two focused operations in which they raided the homes of 62 Arab terrorists and arrested 43 of them until the completion of court proceedings against them. The rest of the suspects are still being investigated. "Anyone who is involved, either directly or indirectly, in severe riots and violence will be arrested and stand judgement," Jerusalem District Commander Yoram Halevi said. "The arrest operations and their direct result of indictments an extended arrest are just one more proof of this, and of our determination."